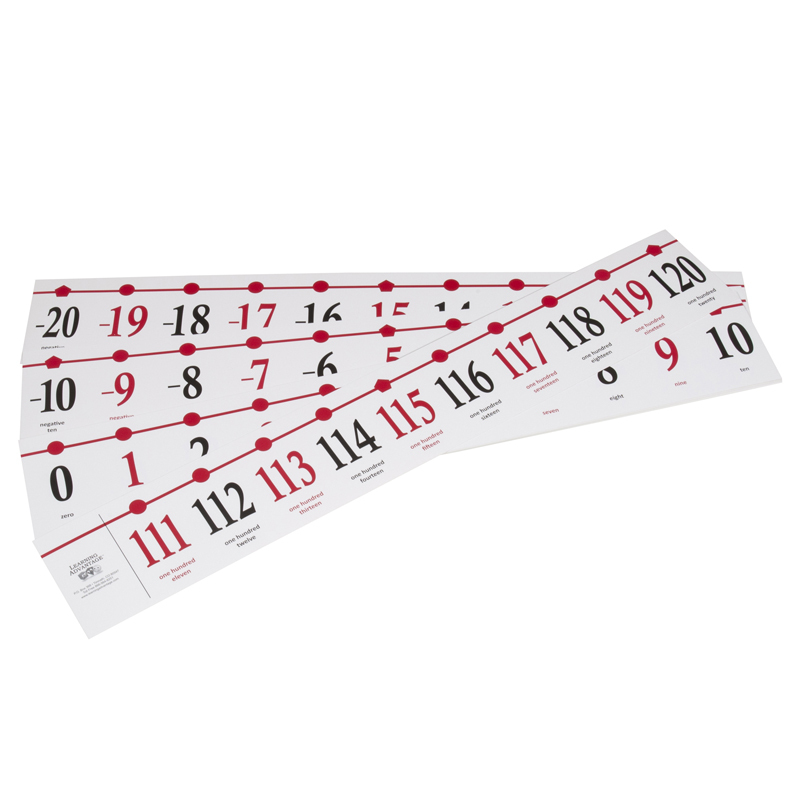 Classroom Number Line features numbers —20 to 120. Even numbers are black and odd numbers are red. Multiples of 5 are noted with a pentagon. Includes number words under each number. 5.5" tall x 37 feet long. Meets the Common Core Standards. Great for skip counting.